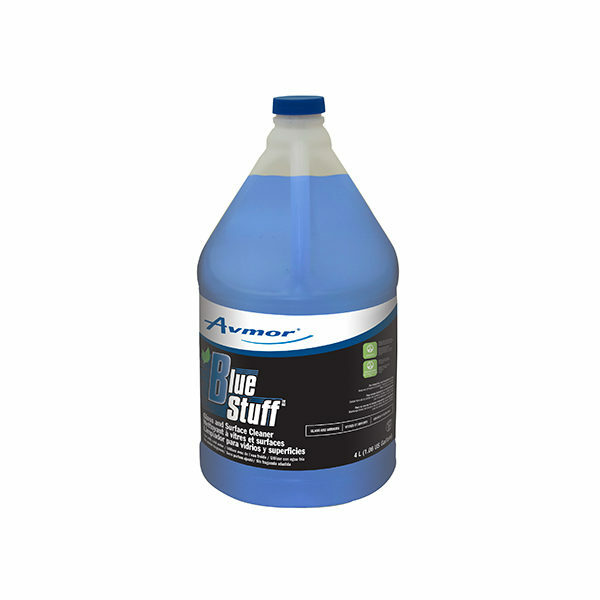 BLUE STUFF Glass and Surface Cleaner is a cleaner that dissolves, suspends and removes soil from glass, plexiglass, windows, mirrors, windshields, walls, countertops, cabinets, partitions, light fixtures, stainless steel, chrome, plastic, vinyl, appliances, desks and other surfaces not harmed by water. NOTE: To avoid excess foaming, pour water first and then BLUE STUFF. Improper use or dilution may lead to increased risk of health effects. Always use with cold water.